MSR: What types of events and services do you offer? GoPro Motorplex: We have a full calendar of events accommodating customers looking for a competitive racing format using our fleet of rental karts as well as customers who have their own karts and race professionally. The GoPro Motorplex Karting Challenge is our year-long, in-house racing series with 8 events (April 27, May 11, June 15, Aug. 23, 24, Sept. 21 and Oct. 26). We also have Rental Kart Leagues that run for 5-weeks on Wednesday nights and Rental Kart Team Enduro races, including a 6-Hour and 9-Hour race. In addition to running karting events, our facility also includes an on-site karts, parts and service retail center as well as standard and luxury garages available for yearly lease. GoPro Motorplex: One thing that makes GoPro Motorplex unique is our partnership with GoPro cameras. With their sponsorship, we can provide our racers an opportunity to win some amazing cash and product prize packages in all of our different series giving racers more incentives to enter and more reasons to celebrate after a win! GoPro Motorplex: We put a huge focus on and strive to provide exceptional customer service. To us, good customer service includes running safe and organized race events start to finish, from the registration process to receiving trophies in victory lane. MSR: What are the highlights of your season? GoPro Motorplex: Although it’s tough to pick just a few highlights, we are certainly always the most thrilled to add new events each year. 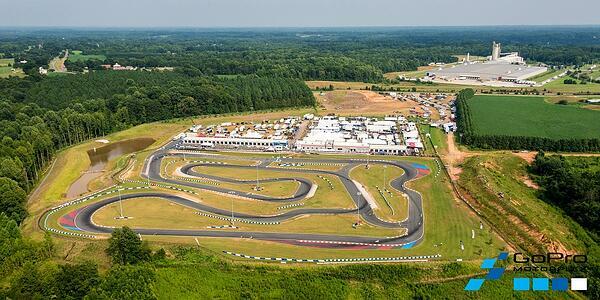 In 2014, we will be hosting the Little 600, a rental kart race with a full-field of NASCAR drivers. We also added our longest enduro yet the 9-Hour in November and the Rotax Pan American Challenge Oct. 15-19 which will bring karters from across the world to race at our facility. GoPro Motorplex: We promote our events through our website, social media outlets, print and online advertisements and trade-show/booth marketing. One of the hugely beneficial aspects of MotorsportReg.com is the opportunity to have our events listed on their event calendar which allows customers who have never heard of us to click on our event and learn about GoPro Motorplex. For our Rental Kart events that have limited entries available and typically sell out, it’s great to be able to encourage registrations with a live entry list link for the event on MotorsportReg. This list shows remaining entries available and pushes customers to register quickly if they see there are only a few spots left! GoPro Motorplex: We continue to learn with each event, but organizing events over the past year has taught us that we can never be too prepared and that we always need to have a plan in place with great communication as the key to success. MotorsportReg.com’s communication with our competitors through their registration process helps us get off on the right foot for each event we hold and minimizes questions and confusion once the competitors arrive on the day of the race. MSR: What motivates the team to continue to be successful? GoPro Motorplex: The Motorplex team has been and continues to be dedicated to the karting enthusiast and motorsports fan looking for an affordable and easy entry point into world-class motorsports. We are motivated to provide exceptional customer service and an unforgettable experience to both the first timer and the seasoned racer. We know that each day we open our doors, there is the potential to welcome in a new customer into the world of racing whether it be in the seat of our 55 mph rental karts or track testing time for a young karter new to the sport. MSR: What's next for your organization? Anything new and exciting for the future? GoPro Motorplex: We are always looking to raise the bar by organizing large events that have never been done before and this year is no exception. Look for an announcement soon on a big kart race this summer with an unprecedented purse structure! GoPro Motorplex: MotorsportReg.com has streamlined the registration process for both our customers and our employees. It helps our employees be prepared way ahead of time for the event procedures on the day of the event. It also encourages entries in our race events by showing all drivers who are pre-entered for a race. GoPro Motorplex: Our favorite MSR feature is the ability to run numerous reports for accurate and up to date information. MSR's drag and drop design makes it easy to learn even for the novice user. We are also very impressed with MSR's consistent customer service every time we pick up the phone. We always feel like they would be willing to spend hours on the phone training or helping with an issue, although it has never taken more than 15 minutes to solve our problem! MSR: Thanks for your time. GoPro Motorplex: Thank YOU! We are glad to be a partner with MSR and would encourage anyone on the fence about using MSR to give us a call! Great product! GoPro Motorplex is dedicated to providing racing enthusiasts a turn-key karting experience centered around an advanced, world-class racetrack. By integrating an on-site karts, parts, and service retail center, as well as a diverse schedule accommodating seasoned karters, arrive-and-drive events, races, and corporate/group events. GoPro Motorplex is the premier source for all things karting at every level of the sport. Additionally, standard and luxury garages, and exclusive memberships, provide serious karters with everything they need to make the karting experience as easy and fun as possible while delivering a great value. For a complete listing of all events currently open for registration, check out the GoPro Motorplex calendar on MotorsportReg.